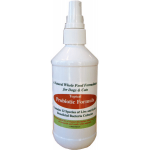 Provides immediate relief from yeast infection in dogs. Eliminates 99.9% of bacteria, fungus and topical viruses while soothing the skin. 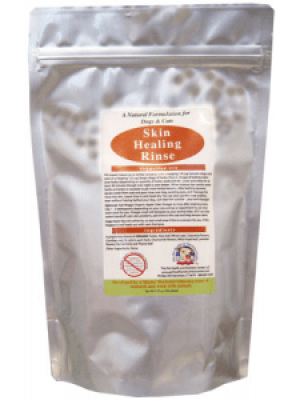 Eliminates yeast, hot spots, black skin, red skin, greasy skin, restores hair growth, fold dermatitis, staph, chewing of the feet & body, itching. Unfortunately, yeast infection in dogs are very prevalent now, more so than ever before. Walter is just one of our very happy customers! The anti fungal yeast infection treatment and antimicrobial formulas can provide relief for dogs suffering from epidermal conditions (see the full list below). The formulas were developed using advanced technology to gently penetrate the skin, yet eliminate 99.9% of of the bacteria, fungus and topical viruses on your dog’s skin, plus control the itch. **NOTE: Many chronic skin issues are believed to be related to over vaccinating and a breakdown in the immune system. Find additional valuable information below to help with your dog’s diet (anti yeast dog food), sensitivities and healing process. There are three formulas. The Body Wash and Lotion are the most gentle and non-irritating. The spray is very effective, but may irritate if the skin is raw. There is no need to wash off. They penetrate deep within the skin to the dermal layers to effectively eliminate any fungal and skin issues. While most other products available can only eliminate surface bacteria and are very hard on the skin, ours soothes the skin while eliminating problematic microorganisms. The Body Wash is an anti fungal dog shampoo and should be used for full body treatment of the skin (important for fighting bad cases of yeast). The Antimicrobial Spray is excellent for getting in between the toes and the feet as well as the ears. The Wound Lotion is an antifungal cream for dogs and works very well for spot treating. It is VERY soothing for them. **NOTE for Dogs with Yeast and Staph: When using for staph or yeast; please be sure to use the Body Wash at least once a week or twice a week if possible. 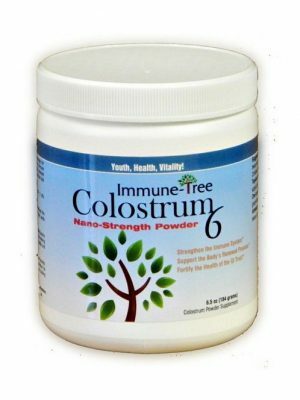 This will help get the yeast and fungus under control. We recommend using the Wound Lotion vs the Spray on red, inflamed skin. For thickened black skin, the spray is okay. The Wound Lotion is very gentle and soothing, whereas the spray can be too strong for skin in an inflamed condition. You can however dilute the spray to make it more gentle and still remain effective: The Antimicrobial Spray and the Body Wash contain sudsing agents, but the Wound Lotion does not and contains soothing emollients as well. If your dog is hyper-sensitive with inflamed skin (redness), we suggest mixing our Wound Lotion 50/50 with PURIFIED WATER and add it to a cleansed bottle that you can use in between bathing by squeezing the mixture between the fur and onto the skin. Gently massage the mixture into the skin or problem area. The idea is to reach the skin as best you can, and not just the fur. This helps the kit go a little further as well. It’s vital that you provide a good binder to the diet as well to help remove any toxins & infection running through your dog’s system due to vaccines, topical flea treatments, synthetic antibiotics and steroids, etc. Bentonite Clay is by far the best natural binder available. It works so well that we recommend it for dogs with kidney disease. You can learn more about it here. The skin is the biggest organ of your dog’s body and is the first place to show signs and symptoms of yeast infection in dogs. 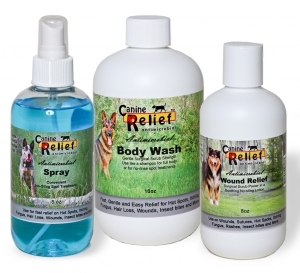 Your goal should be to not only provide topical relief using our kit, but to build your dog’s weakened immune system through a healthy diet that includes fresh protein (NEVER kibble, canned dog foods and low budget treats including rawhide) and avoid those things that may cause additional damage to your dog’s already unhealthy state such as vaccines and chemical flea and tick products. Feeding a diet consisting of either raw, home-cooked or a combination of both is recommended. If you would like to home cook anti yeast dog food yourself, please learn more about our simplified cookbook here. For a dog with yeast issues, any of the recipes in the cookbook can be used. If you want to target internal issues, Repair & Strengthen formula provides valuable nutritional support for dogs diagnosed with skin conditions that require additional help to restore their immune system to a healthy state. 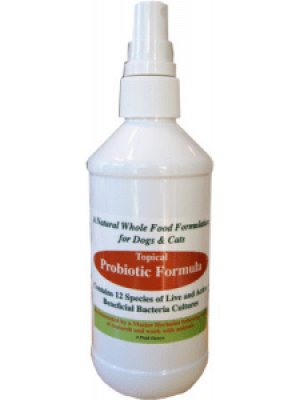 It is used for dogs suffering from leaky gut, yeast overgrowth, muscle wasting, digestive tract issues and any other condition that causes deterioration in the body. You can learn more here. 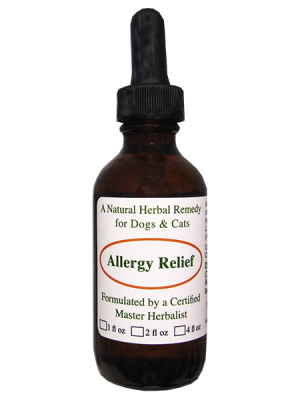 For dogs with environmental allergies and to help reduce histamine, please review Allergy Relief tonic here. GIVE THE TONIC ONE MONTH TO WORK, PLEASE! Biotin (aka B7) is one of the B vitamins. Several studies have shown that dogs suffering from dry skin, seborrhea, and dry, itchy allergy prone skin greatly improved when supplemented daily with biotin. Biotin naturally comes from foods such as egg, almonds and whole grains. There are some caveats though when using Biotin. Using too much can alter blood tests to show false results. So, how do you get around this, let your vet and lab know that your dog is being supplemented with Biotin. One thing to consider before adding a biotin supplement, and if you’re not already doing so, is to include a good source of whole grain with your dog’s daily diet. Don’t get overwhelmed with what you read about all grains being bad for your dog. It’s just not true. It’s a matter of balance. We recommend including Carna4 Sprouted Seeds. You can learn more here. Our lab testing shows that our formulas are more effective than Betadine in killing Methicillin Resistant Staphylococcus auresus ATCC and 2.5 times faster than Hibiclens in killing Streptococcus faecalis. as well as other microbes, viruses and fungi.